Conservationists are worried there could be a three-fold jump in turtle casualty this season. 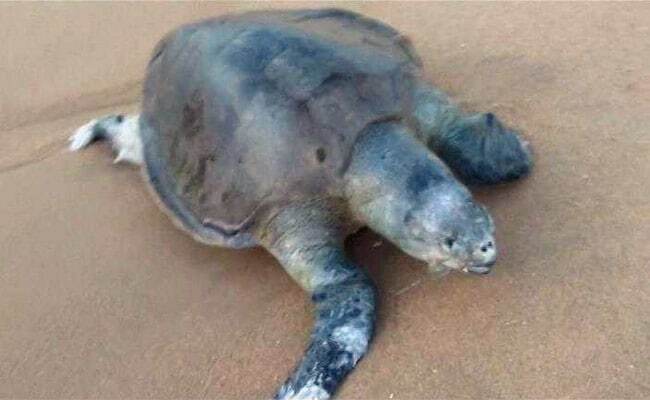 Chennai: Over a hundred Olive Ridley turtles have been found dead along Chennai shores in the last two weeks since the nesting season began. Conservationists are worried there could be a three-fold jump in turtle casualty this season due to various reasons, including the use of banned gill nets and mechanised fishing boats. There is a ban on mechanised fishing boats in a five nautical mile area during the three-month nesting season. Gill nets which trap turtles and don't allow them to breathe till boats reach shores are also banned, but conservationists blame fishermen for violations. Shravan Krishnan, a conservationist, says, "We've introduced nets that have LED lights, which repel turtles, and excluder devices which allow them to escape through openings. These openings may allow around two per cent of the fish to escape which is why fishermen don't use these nets." It's heart-breaking to find dead turtles tangled in nets with the soft tissue of their neck and fins sliced by nylon strings along the beaches. Oliver Ridleys mostly breed between January and March in southern India. Officials in the fisheries department say they don't have the logistics to monitor off shore, but they are trying to raise awareness among fishing communities. VP Dhandapani, Fisheries Commissioner told NDTV, "We've instructed fishermen to release turtles whenever they get caught in their nets". However, he denies alegations that mechanised boats violate the fishing ban in the five nautical mile area. He said, "That zone is exclusively meant for fishermen with country crafts (non-mechanised boats), who wouldn't let mechanised boats here as it would ruin their livelihood." The endangered Oliver Ridley turtles, well-known for their coordinated nesting in large numbers, mostly breed between January and March in southern India. After nesting, the female turtles swim ashore to lay eggs by digging pits in the sand. The hatchlings emerge 45 to 50 days after nesting. The female turtles, however, do not wait to see their eggs hatch and return to the sea.